If you’re moving in or out of Oregon’s largest and busiest city, be sure to rely on a Portland moving company with decades of experience and unparalleled knowledge of the area. 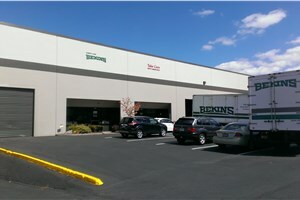 Irvington Transfer & Storage (ITS) Global Relocation Services, agent of Bekins Van Lines, has been moving families and businesses locally and internationally as the preferred Portland movers since we became a part of this community back in 1926. For our decades of dedicated customer service and a proven commitment to quality, ITS Global has become a BBB-accredited business, a member of the Oregon Moving and Storage Association, and a ProMover with the American Moving & Storage Association (AMSA).We continually strive to maintain our standing as a top Portland mover and, for area residents and businesses, be the premier choice among the many Portland moving companies for moving and storage services. We have gotten here by exceeding the requirements of our affiliates and surpassing expectations of our residential and business clients, and we will continue this focus on superior service and value for our customers. 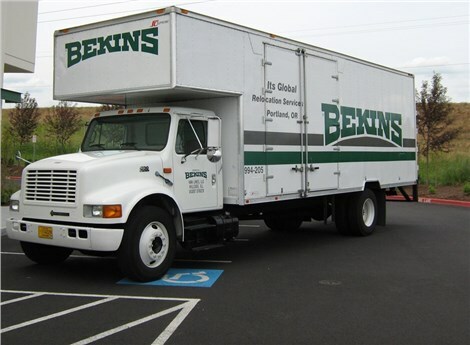 Wherever your move from the “City of Roses” takes you, our local Portland moving crews and resources through Bekins Van Lines will ease your transition. We treat every customer with respect and their household or business items with care, just as we would family, friends and neighbors. To ensure quality, we only work with the best teams. Our Portland moving company employs pre-screened professionals who have comprehensive training. Giving you the level of quality service you require means offering the most advanced moving equipment such as modern trucks with hydraulic lift gates, climate-controlled storage and more. Offering free on-site estimates for your commercial or residential relocation, our Portland movers ensure that all your questions are answered and that you project estimate and timeline are accurate. Whether you’re moving your household just down the street or your corporate branch around the world, ITS Global will simplify your journey every step of the way. Read on to learn more about our comprehensive moving and storage services, and how we can ensure a quality, efficient relocation. Local Portland Movers: For local moves in and around the Portland area, our experienced residential movers can support any size household with the packing and delivery of household goods, including specialty items such as pianos and electronics. Portland Long Distance Movers: Make your interstate or long-distance relocation a seamless process with comprehensive moving solutions supported by our industry experts and professional assurances, including guaranteed pricing on interstate shipments and on-time pick-up and delivery of your items to the destination of your choice. Portland International Movers: Your move abroad is simplified as our international relocation experts provide all shipment paperwork necessary for customs to ensure a stress-free experience at destination. Portland Office Movers: Whether you have a small office to move or a corporate branch and employees to transfer, the expert office movers at ITS Global Relocation will minimize your downtime with high quality service at prices that meet your budget. Portland Storage Facilities: Our secure 20,000 square-foot commercial and residential storage facility is equipped to meet your exact storage requirements. Specialized Moving in Portland: Move your appliances and industrial equipment seamlessly with the professionals at ITS Global Relocation! Don’t delay any longer – contact ITS Global today with the details of your moving project. A friendly representative is standing by to assist you, or you can fill out our online quote form to receive a free estimate now!